The Daily Rant: With A Little Help From My Friends. 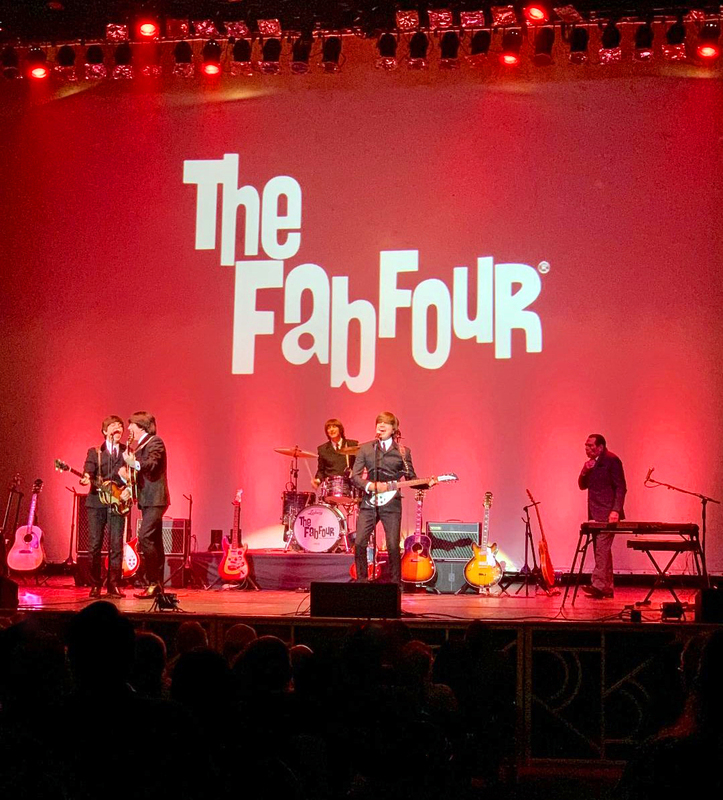 Last night I went to see The Fab Four Beatles tribute band at the Fox Theater in Tucson, Arizona. My friend Troy and I were supposed to have dinner together since Ed was out of town but at the last minute he was offered tickets to the show and asked if I was interested. Well, my first inclination was to say no. Because I say no to everything. But, I figured it's a brand new year and I should start saying yes to things. I'm not a Beatles fan (at all) but I thought it would still be an enjoyable evening because hey, I like music, right? Troy's Aunt and Uncle joined us, with the four of us going for dinner at Street Taco and Beer Co. before the show. I'd been here before, with Ed, and we liked it. At the time I didn't realize the theater was just a few doors down, so it was a very convenient pre-show meal. I actually had a really great time. The food was good, the company was great, and the show was better than I expected. The theater is small and we had great seats. And the crowd was very lively. There were some serious Beatles fans in that room! There are several musical events in our town that I think I'd enjoy and when we're home, I'm going to make an effort to get out more often and find something we both enjoy. I can probably get that done with a little help from my friends. See what I did there? Ha! OMGosh, there's even an "Ed Sullivan" on the stage in that photo. BELLEDOG: Yes! He was part of the show, introduced them and kind of emceed.